FHPCA’s clinical webinars are known industry-wide for exploring and explaining the most current topics in hospice and palliative care. These 70 minute workshops can be attended live with a chance to Q&A with the faculty, or viewed via audio/visual MP3 which offers the flexibility to view whenever you wish. The Live Event + Recorded MP3 subscription package option gives you the best of both worlds, real time instruction and flexible viewing options. ALL educational options for 2014 include FREE continuing education credits for each workshop attendee. Whichever package you choose, gather as many people as you’d like in one office, conference room or auditorium for one low price. Interested in presenting a webinar? Fill out this Expression of Interest Form and return to our office. Subscription Packages: Now offering two subscription package options to suit your education needs. CEU credits included in ALL 2014 live and recorded* educational offerings. Purchase your subscription package today! February 18: Webinar moved to September 10th. June 17: New QAPI Reporting Requirements Effective July 2014Note: This webinar will only be presented live. No recording will be made available for purchase. $49 for FHPCA Members, $149 for Non-members. Visit our Online Store or click the links below to purchase. Management of Acute Events: What Happens If…? 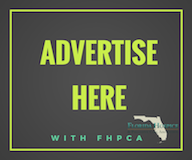 FHPCA has partnered with CE Broker to offer FHPCA members a $5 discount off a year’s CE Broker subscription (discounting the subscription from $29 to $24). To receive your discount code, call our Member Services line at (877) 783-1922. *CEU credits are available for one year after purchase date of a recorded MP3.